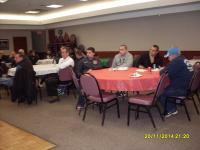 The regular meeting of LIEVT was held at the Wantagh Fire Department on March 12, 2015. 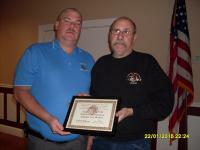 The attendees were made to feel welcome by the Commissioner and member Joe Daniele. 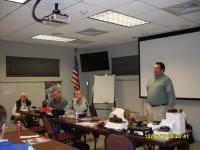 The regular meeting of the Long Island Emergency Vehicle Technicians was held on November 20 at the West Hempstead Fire District Headquarters. The food and the meeting facility were first class. 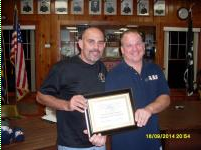 The regular meeting of LIEVT was held at the Brookhaven Fire Department on September 16, 2014. An excellent dinner was served. The attendees were made to feel welcome by the Commissioners and members of Brookhaven. 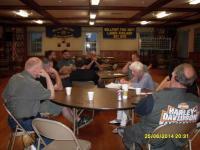 The regular meeting of LIEVT was held at the Bellport Fire Department on June 25, 2014. An excellent dinner was served. The attendees were made to feel welcome by Commissioner Dave Sponton, George Van Schaick and Steve Mackin.